Western countries are using terrorism as an instrument of control, Syrian President Bashar Assad said in a recent interview. He also said that he is ready to step down if his departure is the solution to the four-year-long conflict. 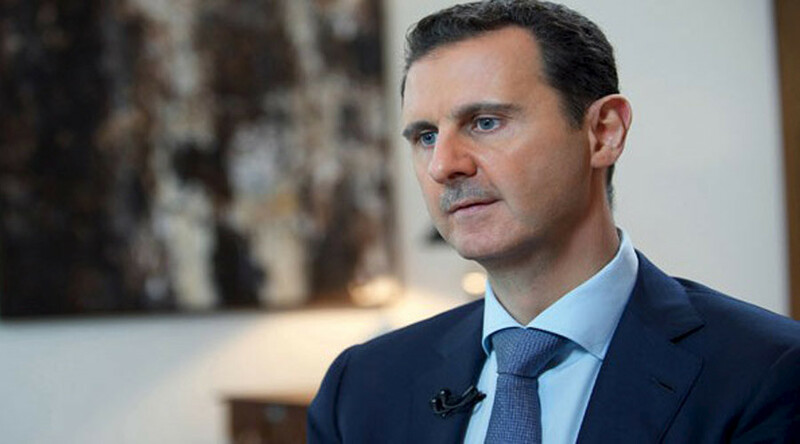 “From the beginning it was clear to us that there were foreign hands behind terrorism in Syria,” Assad said in interview with Iran’s Habar TV. President Bashar al-Assad to the #Iranian Khabar #TV: #Terrorism is a new instrument used by the West to subjugate the region. “How can the United States and its allies fight terrorism or ISIS in Syria and Iraq while their closest allies in the government of Erdogan and Davutoglu are supporting terrorists and enabling them to cross the borders and bring weapons, money and volunteers through Turkey?” he asked. Since the US-led coalition was formed, terrorism expanded geographically and its recruits multiplied, the Syrian president said. “God willing it [Syria, Iran and Hezbollah] will be able to defeat terrorism which is a new instrument for subjugating the region,” he stressed. “It must succeed. Otherwise, the whole region, not only one or two countries, will be destroyed,” Assad said. Russia, as well the Soviet Union in the past, “[has] never tried to impose anything on Syria, especially in this crisis,” he said stressing that, as opposed to the US, Russia is against interferences, hegemony and violations of the UN Charter. President Assad once again stated that he is ready for political dialogue with all Syrians – but not with foreign powers. “Any talk about the political system or the officials in this county is an internal Syrian affair,” he said. “When the Syrian people decide that a certain individual should stay, he will stay; and when the Syrian people decide that he should go, he will go immediately,” the president said. “If my departure is the solution, I will never hesitate to do that,” he added. President #Assad to the Iranian #Khabar#TV: If my leaving office is the solution, I will never hesitate to do so. Assad stressed that no state in the world conducts dialogue with terrorists and that they should be subject to the laws and brought to justice. “However, the state might conduct dialogue with terrorists in one case, when the objective of the dialogue is for the individuals who carried out terrorist acts to lay down their arms and embrace the state and the law,” he added, noting that this has actually happened in Syria, with the government having held talks with various reconciliation-seeking groups, granting them amnesty and giving them an opportunity to go back to their normal lives.